Hastelloy B2 Round Bars & Rods Manufacturer, Hastelloy B2 Round Rods Supplier & Exporter in India. Manufacturer & Exporter of Hastelloy b2 Round Bars & Rods, Hastelloy UNS N10665 Hex Bars, Hastelloy b2 Square Bars & Hastelloy b2 Round Rods Supplier in India. Hastelloy B2 (UNS N10665 / W.Nr. 2.4617) is a solid solution strengthened, nickel-molybdenum alloy, typically used in extreme reducing conditions. B2 has significantly lower carbon, silicon and iron compared to its’ predecessor, Alloy B (UNS N10001), making the alloy less susceptible to decreased corrosion resistance in the weld zone, in the as-welded condition. We assure our customers that this Hastelloy B2 round bar is quality tested on predefined parameters so as to meet the quality standards. Our organization consists of rich technical skill and manpower support that monitor every step of the Hastelloy B2 round bars manufacture and export and make sure that the client receives the best in hand. The corrosion-resistant Hastelloy B2 round bars are widely used by the chemical processing, aerospace, and industrial gas turbine and marine industries. Additionally, due to their reliable performance, areas of energy, health and environmental, oil and gas, pharmaceutical and flue gas desulfurization industries are increasingly using them. 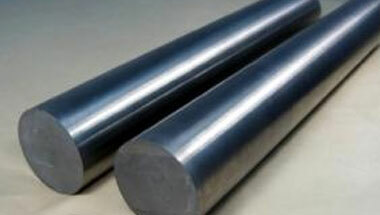 Hastelloy B2 Rods, Hastelloy B2 Werkstoff Nr 2.4602 Round Bars, Hastelloy B2 Round Rods, Hastelloy B2 Hexagonal Bars, Hastelloy B2 Bright Bars Supplier & B2 Bars Exporter in India. Venezuela, Chine, Peru, New Zealand, Ghana, Azerbaijan, Vietnam, Colombia, UAE, Australia, Egypt, Sri Lanka, Tunisia, Dubai, Democratic Republic of the Congo, Africa, Nigeria, Morocco, Indonesia, Italy, Kuwait, Iran, Trinidad and Tobago, Sudan, Mexico, Mozambique, Uganda, Houston, United States, Thailand (Bangkok), Bahrain, South Africa, Turkey, Ethiopa, Israel, Germany, UK, Russia, Jordan, Cameroon, Brazil, London, Argentina, Angola, Saudi Arabia, Malaysia, Canada, Iraq, Kazakhstan, Algeria. Jeddah, Dar es Salaam, Kinshasa, Yaoundé, Ibadan, Alexandria, Lusaka, Dakar, Luanda, Maiduguri, Singapore, Pretoria, Benin, Freetown, Khartoum, Kolwezi, Mecca, Soweto, Mbuji-Mayi, Colombo, Mogadishu, Rabat, Abidjan, Port Elizabeth, Durban, Johannesburg, Bamako, Lubumbashi, Omdurman, Douala, Istanbul, Harare, New York, Riyadh, Hong Kong, Nairobi, Cairo, Bulawayo, Manama, Subra al-Haymah, Algiers, Tripoli, Fez, Data from the UN, Maputo, Addis Ababa, Aqaba, Zaria, Cairo, Casablanca, Dubai, Lagos, Port Harcourt, Conakry, Beirut, Muscat, Doha, Bethlehem, Accra, Tehran, Dammam, Byblos, Kampala, Kaduna, Cape Town, Brazzaville, Abu Dhabi, Kano, Amman, Giza, Tel Aviv, Antananarivo, Ouagadougou, Jerusalem, Sharm el-Sheikh.